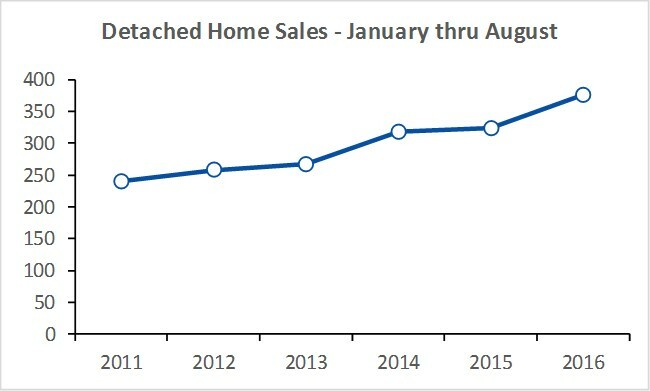 The record-setting market for home sales continued in August. Home sales in Prince Edward County usually begin to fall off in August, but not this year. Instead of tapering off, August detached home sales were up 18% from last year. August sales follow a string of record-setting months, reflected in the fact that 2016 year-to-date sales are up 16% compared to last year.